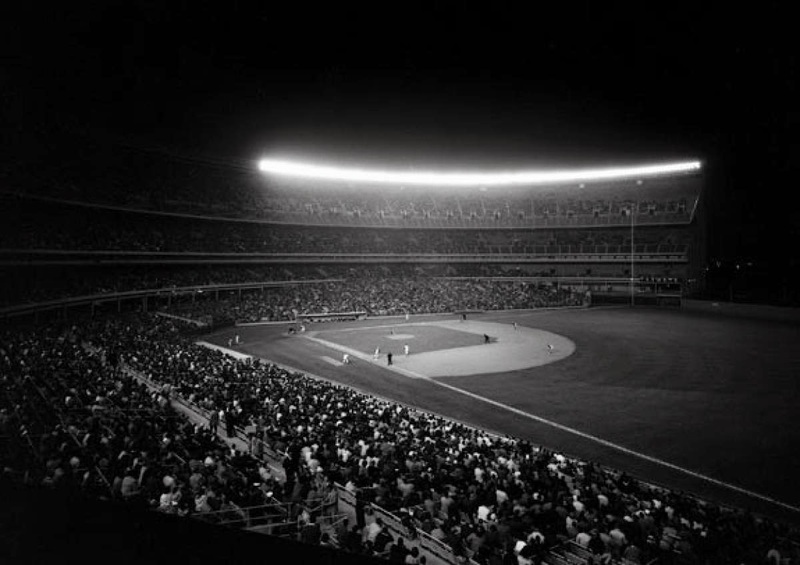 May 6th 1964: Almost a month after its grand opening, Shea Stadium saw its first night game. 32,421 fans came out for the event, across Flushing Meadows Corona Park where the 1964 New York Worlds Fair was going on. The ceromonies included Franklin Delano Roosevelt Jr. pressing a button to turn on the lights. President of the United States; FDR senior had flipped the switch on the first night game played in baseball history in 1935. The Mets stumbled in on a five game losing streak & after 19 games, Casey Stengel's club had just three wins. Fred Hutchinson's Cincinnati Reds were in town, 2 1/2 games back in fifth place at 11-9. This Reds team featured a rookie Pete Rose & Hall of Famer; Frank Robinson. 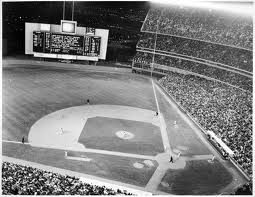 The Mets; Bill Wakefield got the start & got lead off batter Pete Rose to fly out to left field. He was ok until the 4th inning when Frank Robinson hit a two run HR. The Mets George Altman answered with a two run HR of his own in the bottom frame, off pitcher Sammy Ellis. In the 5th Ellis walked & Pete Rose doubled, he was driven in by Tommy Harper. Casey Stengel came to the mound & brought in Ron Locke. After a walk to Vada Pinson he was yanked too & Larry Bearnarth was brought in to pitch. All hell broke loose; the Reds suceeded in a double steal, Bearnarth threw a wild pitch & gave up three more hits making it 8-2 Reds. The Mets Frank Thomas added a two run double in the 6th but the Reds Leo Cardenas hit a two run HR off Mets pitcher; Ed Bauta in the top of the 7th making it 10-4. In the 9th inning the Reds; Vada Pinson blasted a two run HR off the massive Shea scoreboard off Mets pitcher Steve Dillon. Legend has it that Mets Manager Casey Stengel told the young Dillon (pitching in his third & last career MLB game) " Listen, if another player hits a home run off that scoreboard and breaks it, you're paying for it." The Reds hit three HRs on the night in the 12-4 win, with Wakefield taking the loss.